Before you go on an adventure, one of the first things you need to do is pack. Yes, it might sound easy, but packing can either make or break an adventure. Not only that, but packing is not one dimensional feat. In fact, there's packing for a trip and then there is packing correctly for a trip. Chances are, if you are not using some of the best packing cubes on the market, then you are likely not backing the best way possible. To make your packing process a lot more organized a whole lot more efficient today, we are going to go over some of the best packing cubes of the market. 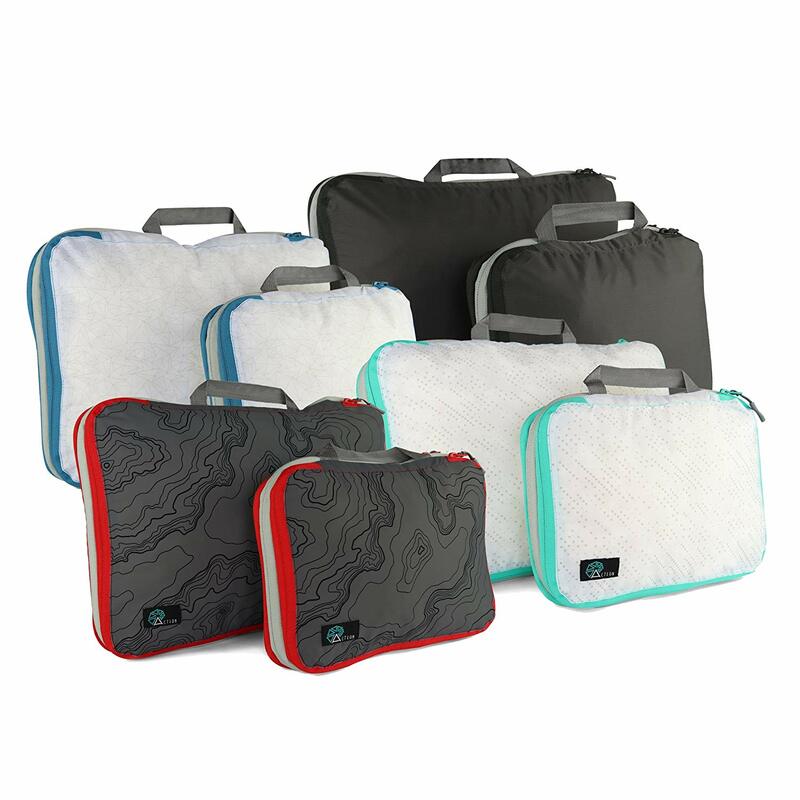 Not only are packing cubes space savers, but they will have you feeling more organized than ever. Never leave the house without worrying about whether or not you have everything you need. Let's take a look of some of the best packing cubes that will make your adventures that much more organized. Organize your adventures with some of the best packing cubes on the market. The chart below displays the best packing cubes and their respective ratings. If you have not been using packing cubes on your adventures, then you have been missing out. Packing cubes really are the difference between making an adventure good, and making an adventure great. Every traveler has had that experience of having to dig through their suitcase to find the one toothbrush, or tie, or tee-shirt. Packing cubes will completely change your life because they help keep everything organized. You can easily narrow down your items and grab what you need when you travel with a packing cube. Not only that, but many travelers seem to play Tetris everytime they pack and unpack. We have all had that experience where everything fits into your suitcase when you pack, but then once you unpack and repack, you can't quite seem to make everything fit again. Packing cubes allow you to maximize your space. They do this by helping guide you in packing everything in just the right place. Finally, when novice travelers pack, one of the most common complaints is that they realize they bring along too much stuff. packing cubes allow you to organize and compartmentalize so that you can really pack efficiently. They allow you to see everything you are bringing along with you so that you are less likely to run into the issue of packing along everything you do not need. While these might be just a couple of the main reasons why packing cubes are a life saver. There are many more reasons why investing in a packing cube is probably one of the best choices any traveler can make. Packing cube sets are not all made alike. here are some of the different types of packing cubes you can expect to find on the market. You will find that many of the best packing cubes on the market are the square shaped packing cubes. While you can find circular or even oval shaped packing cubes, a majority of the best packing cubes tend to be rectangular or squared in shape. What makes this the ideal packing cube shape is the fact that you can just organize better when everything is squared. Think of it as a game of Tetris. The square body allows you to keep everything nice and tidy. Not only that, but you are able to use the maximum amount of space with square packing cubes. Know that every inch of your suitcase or travel bag will be utilized and not wasted. When it comes to choosing the best packing cubes, you might want to consider getting your hands on some multi-purpose packing cubes. Multi-purpose packing cubes make traveling very easy and practical. The great thing about multi-purpose packing cubes is that you can keep everything you travel with neat and organized. Ladies, if you like traveling with all your makeup in tow (duh, who doesn’t), then there are a range of multi-purpose packing cubes that are designed for just that. 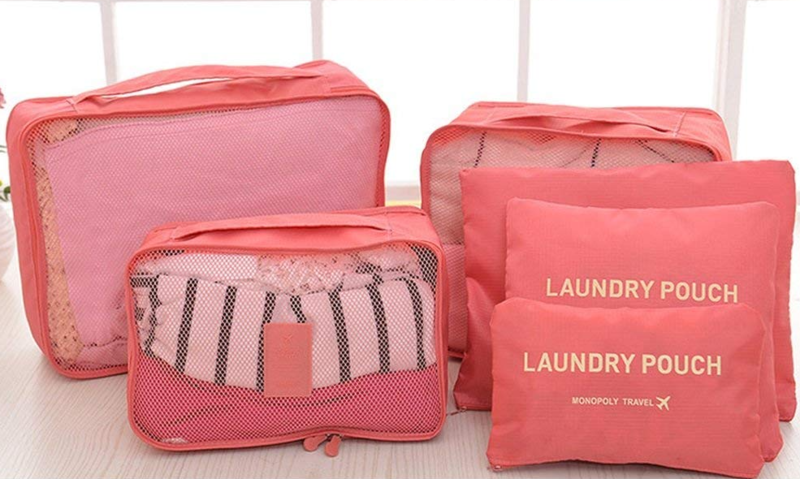 Keep your clothing separated and organized with the help of multi-purpose packing cubes. If you thought packing cubes were efficient, then you will love this next type. Expandable packing cubes allow you to create more space within your packing cube. The great thing about expandable packing cubes is that they give you that extra bit of space that you need to make sure that you are traveling with everything you need. One of the best packing cubes to get your hands on are packing cube sets. There are so many reasons that packing cube sets can come in handy. For starters, if you will be going on a long vacation, you will probably need to pack along a lot of gear. If this is the case, then packing cube sets will allow you to keep all your gear separate and organized. If you are traveling as a family, then packing cubes can especially come in handy. Separate everyone's belongings and keep everything nice and tidy while you are on your journey. Waterproof packing cubes can be great options for adventurous travelers. You can rest easy knowing that everything will be nice and safe and dry in your waterproof packing cubes. Waterproof packing cubes are perfect for travelers who will be hiking and backpacking in the outdoors. For water sports enthusiasts, packing cubes can great for keeping your belongings secure and safe while you are out in the water too. Generally speaking, waterproof packing cubes can be great options for any traveler. After all, you are bound to be in need of a waterproof packing cube sooner or later! See-through packing cubes are some of the best packing cube options for a variety of reasons. For starters, see-through packing cubes are great because you can quickly figure out what you have packed in each packing cube. 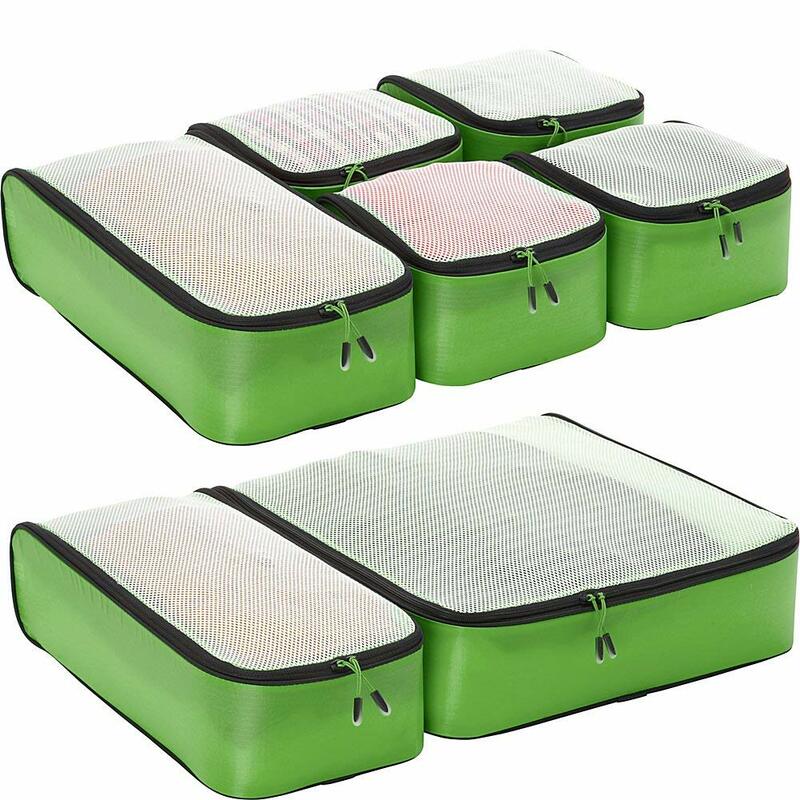 You can take your pick of mesh packing cubes or clear packing cubes. Mesh packing cubes are great for being able to locate things like clothing and other articles of clothing quickly. If you are packing along smaller personal items like makeup and toiletries, then you might want to opt for smaller, see-through packing cubes. While packing cubes come in a variety of shapes and sizes, the same is true about the way that they are built. Some of the best packing cubes on the market right now are the packing cubes that are built with exterior shells or metal linings. These outer shells and linings allow your packing cube to be nice and sturdy. Even if you do not completely fill your packing cube, you can be sure that it will not lose its shape. This can be very helpful when you are packing your travel bag because your luggage (especially duffel bags) will keep their shape. ​For the most part, packing for a trip or a vacation can be cumbersome. You do not need to make it any more difficult than it already is. One way to ease this struggle is by choosing lightweight packing cubes. What makes lightweight packing cubes one of the best types of packing cubes is the fact that they will not add much extra weight to your luggage. Not only that, but you may have the ability to play with the shape of a lightweight packing cube. That way, you can be sure it will fit in any type of luggage you are traveling with. How Will a Packing Cube Serve Your Needs? One of the questions that you should ask yourself when you are shopping for the best packing cubes is what is your need. Determining your need will make a big difference in the type of packing cubes you will shop for. For example, if you will be going on a long trip or vacation you will want packing cubes that will be up for the challenge. Larger packing cubes that have the ability to expand and compress will come in handy. If you are getting away for just the weekend, the opposite is true. Smaller packing cubes will come in handy so that you can pack all your smaller items like toiletries and other items. When you are shopping some of the best packing cubes, one thing that you want to keep in mind is how will you use them? While some packing cubes are made with one purpose in mind, there are others that can serve as multipurpose storage compartments. For example, if you are looking for easy storage that you can carry around without the need for bulky luggage, then you will want to shop mindfully. Look for packing cubes that offer handles. This way, you can easily grip and carry smaller packing cubes around when the time calls for it. Do You Need Waterproof Capabilities? If you are a traveler who likes going out in nature, then it is no surprise that you may come into contact with water every now and then. One of the best things to consider when shopping for a packing cube is whether or not you will need to keep your belongings dry. Take, for example, going on a hike. If you are going on a hike then you may need to carry around some additional clothing. If you carry around a packing cube, then you may want to make sure that the packing cube you carry around is waterproof too. Having a waterproof packing cube in tow will give you peace of mind that everything is nice and snug. Not only that, but you can focus more on your adventure than having to worry about whether or not your belongings are going to get wet. If waterproof capabilities are something that is important to you, then consider purchasing a lightweight yet durable packing cube. This way, you can fit your packing cube nice and neat in of your hiking backpacks. Before you go out and purchase your first pair of packing cubes, you need to consider the style. When it comes to the style of your packing cubes, you want to make sure that you get a set that will last you for a good amount of time. This means that you will want to invest wisely and settle on a set that is durable and reliable. Not only that, but your packing cube will likely grow with you. Be sure to stick with a contemporary style that will not change with the seasons. When you are shopping for the best packing cubes, try to stick with neutral and basic colors. When it comes to picking out the best packing cubes for your adventures, you will need to consider the cost. The cost of your packing cubes is important. Pick the best set that will meet the demands of your budget. You can pick from a range of packing cube sets including packing cubes that come with luggage and additional storage options. Figure out what your needs are and then determine from there what set is best for you. Along with luggage options, you can minimize your packing cubes sets to ones that have fewer options too. This will help with minimizing the costs. This is perfect for the weekend traveler or hiker who do not need that many packing cubes to travel with. Are Packing Cubes Really Necessary? 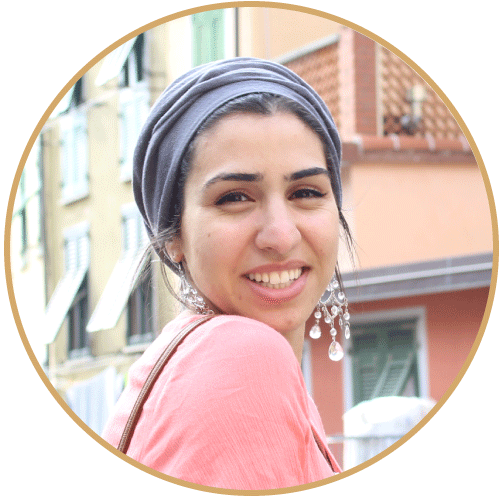 Some of the most important questions travelers have are in regards to necessity. Many travelers cannot help but wonder whether or not a packing cube is actually necessary. There are several reasons why you might want to include a packing cube as part of your travel gear. Not only are packing cubes efficient at storing everything you need. But they will help with the issue of over packing. 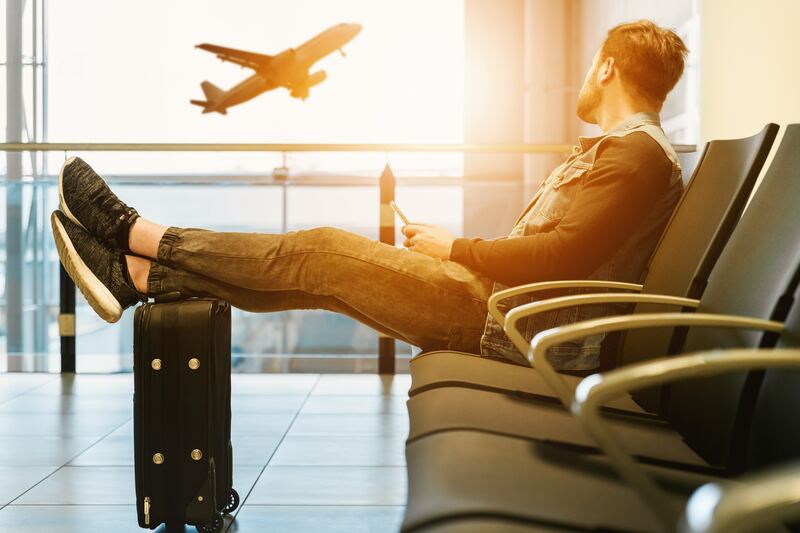 While some travelers may consider packing cubes to be unnecessary additional pieces of luggage, it is actually quite the contrary. Once you develop a habit of using packing cubes on your travels, you will have wished you started sooner! In the beginning of the article, we shared a chart listing some of the best packing cubes. While there are a range of packing cubes to choose from, here are some of our top favorite. Take a look at all the specs and details about our selected packing cubes. Below, you will find a handy breakdown of all the pros and cons that each packing cube set has to offer. Ladies, are you going on a short weekend getaway? 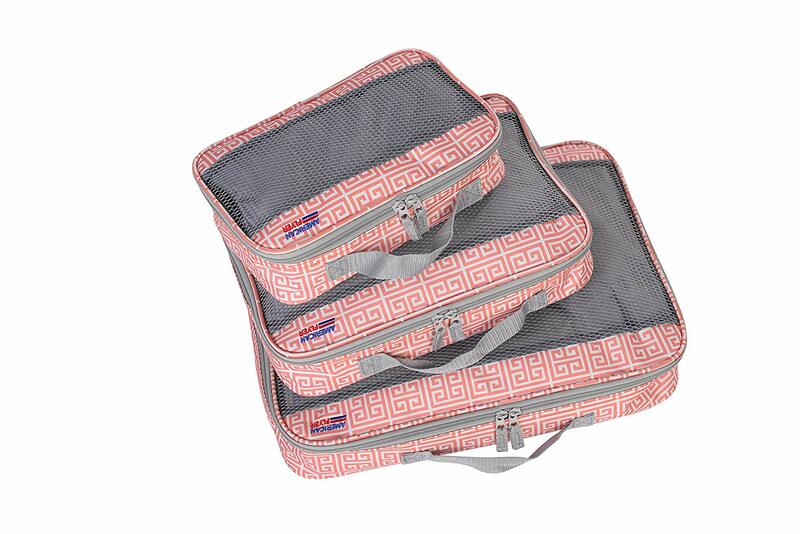 These cute set is one of the best packing cubes we have seen in a while. Easily pack away your belongings for a carefree adventure. this next set includes some of the best packing cubes for travelers who never know what to pack. The expandable zippers allow you to adjust your cube. This will ensure you can fit everything you need. These unique packing cubes make packing for a trip a breeze. The unique material allows you to store away your belongings easily and efficiently. This great set is not only affordable but super cute. The breathability of the material will allow for adequate ventilation. Not only that, but the nylon handles make carrying your cubes around a breeze. There is a color for every traveler with this great packing cube set. The breathable fabric makes this set a win. Not only that, but this set also comes with an additional laundry pouch. 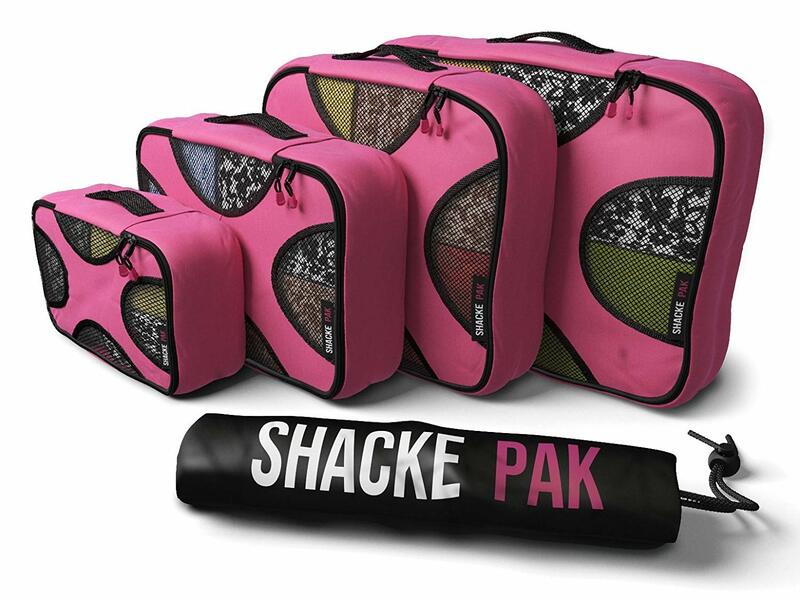 Finally, we love that Shacke makes their packable cubes so durable and resilient. If you are going on a trip anytime soon, then you can't leave without getting your hands on a some of the best packing cube sets first. Not only will you be the most organized in your travels then you have ever been, but you will certainly be happier. Packing cubes are a true life saver when it comes to packing properly for an upcoming trip or adventure. Here's to happy and organized travels the next time you plan to get away!